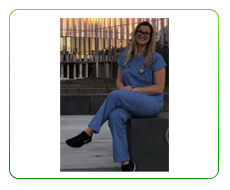 Dr. Massa, a Staten Island native, received her associates degree in Veterinary Science and Technology at Delhi, the State University of New York (SUNY) and completed her Bachelor's degree in Biology at the University at Albany, SUNY. She earned her Doctorate of Veterinary Medicine from Ross University with high honors, completing her clinical rotations at Cornell University. Dr. Massa's areas of interest includes soft tissue surgery and infectious diseases. In her free time, Dr. Massa enjoys cheering on the Kansas City Chiefs, spending time with friends and family, watching netflix with her pitbull (Tito), and traveling as much as possible.